Saint Paul, Minn., January 24, 2019 – Right this minute, astronauts from around the world are orbiting Earth aboard the International Space Station (ISS). But these bold adventurers aren’t the only ones exploring space. Girls nationwide are engineering, designing, testing and refining experiments that are flown to the space station, and PBS SciGirls has captured their stories for an innovative new science education initiative! Twin Cities PBS (TPT) announces SciGirls in Space. As part of the International Space Station U.S. National Laboratory-supported Space Station Explorers program, TPT produced a series of four videos that share the inspiring stories of young women who have participated in International Space Station-aligned programs. The short-form videos feature Julia, Abby, Sarah and Abby Sofia sharing their passion for space science, highlighting their successes, challenges and the diverse paths they’ve traveled to become space science standouts. Viewers also follow these creative young women through their everyday lives, enjoying hobbies, sports, family and friends. Relatable, warm and smart, these real-life SciGirls act as near-peer role models for all students, exemplifying the powerful maxim if she can see it, she can BE it. SciGirls in Space role model videos are accompanied by standards-based and gender equitable hands-on science activities. Additionally, TPT will implement SciGirls in Space outreach programming at five locations: The McAuliffe Center for Integrated Science Learning, MA; The Challenger Center of Ramapo, NY; The Challenger Center in Heartland Community College, IL; North Dakota Space Grant Consortium in ND and Girls Inc. of San Antonio, TX. Youth, educators and families can access the SciGirls in Space videos and aligned activities across multiple platforms, including Twin Cities PBS, SciGirls CONNECT educator’s website, SciGirls YouTube channel, PBSKids.org, PBS LearningMedia for educators and at the International Space Station U.S. National Lab’s Space Station Explorers website. The mission of TPT is to “enrich lives and strengthen communities through the power of media.” As one of the nation’s leading public media organizations, Twin Cities PBS (TPT) uses television, interactive media and community engagement to advance education, culture and citizenship. 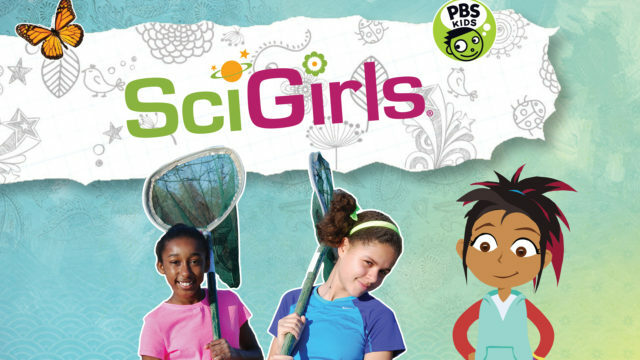 One of TPT’s flagship projects is SciGirls, funded by the National Science Foundation. 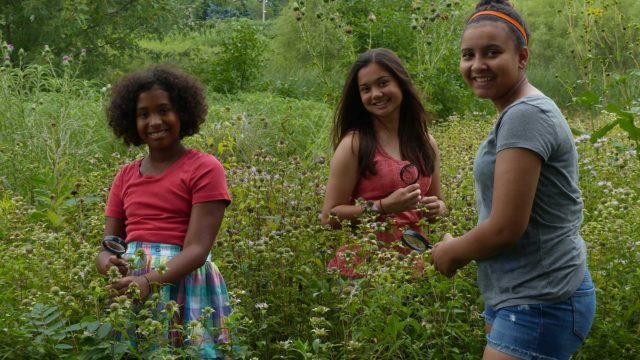 SciGirls combines a national PBS television series, digital content, professional development and hands-on activities to engage girls, families and educators in STEM studies and workforce exploration. Learn more about SciGirls at PBS Kids or SciGirls CONNECT, and explore TPT at www.tpt.org. In 2005, Congress designated the U.S. portion of the ISS as the nation’s newest national laboratory to maximize its use for improving quality of life on Earth, promoting collaboration among diverse users, and advancing science, technology, engineering, and mathematics (STEM) education. This unique laboratory environment is now available for use by non-NASA U.S. government agencies, academic institutions, and the private sector, providing these customers access to a permanent microgravity setting, a powerful vantage point in low Earth orbit, and the extreme and varied environments of space. The ISS National Lab is managed by the Center for the Advancement for Science in Space (CASIS), under agreement with NASA. Space Station Explorers is a consortium of educational organizations that use the excitement and appeal of the International Space Station to engage educators, learners, and explorers of all ages. With support from the ISS National Laboratory, these partner organizations develop innovative, authentic learning experiences in science, technology, engineering, and math (STEM). Programs include opportunities for students to design, build, and control experiments to be launched to the ISS. The National Science Foundation is an independent federal agency that supports education and research across all fields of science, technology, engineering and math (STEM). Visit here for more information on NSF activities. SciGirls is inspiring the next generation of STEM superstars.